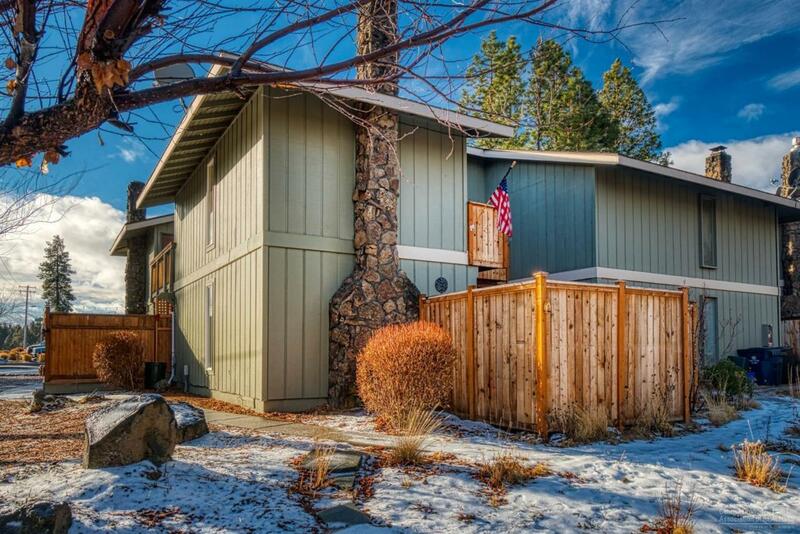 Thoughtfully updated condo offers privacy and low maintenance living so that you can enjoy all that Central Oregon has to offer. This condo is warm and inviting with loads of extra storage and natural light. 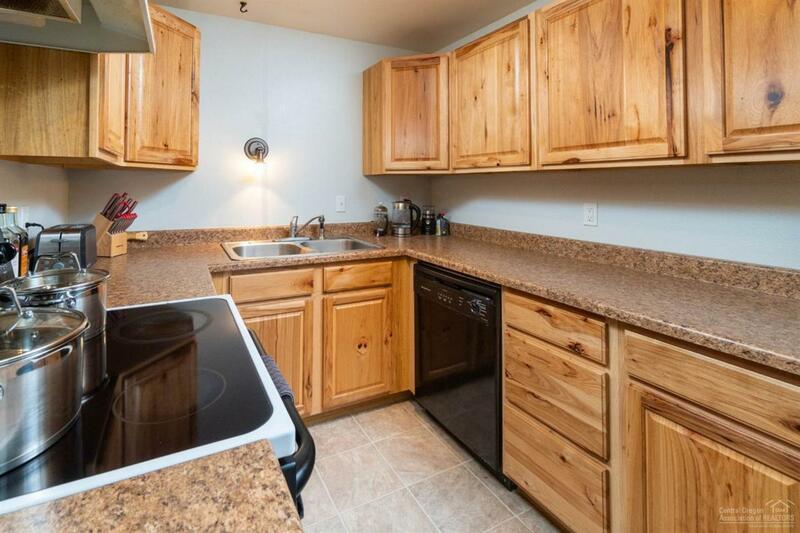 The interior is accented with updated bathrooms, wood cabinetry and a cozy wood burning stove. 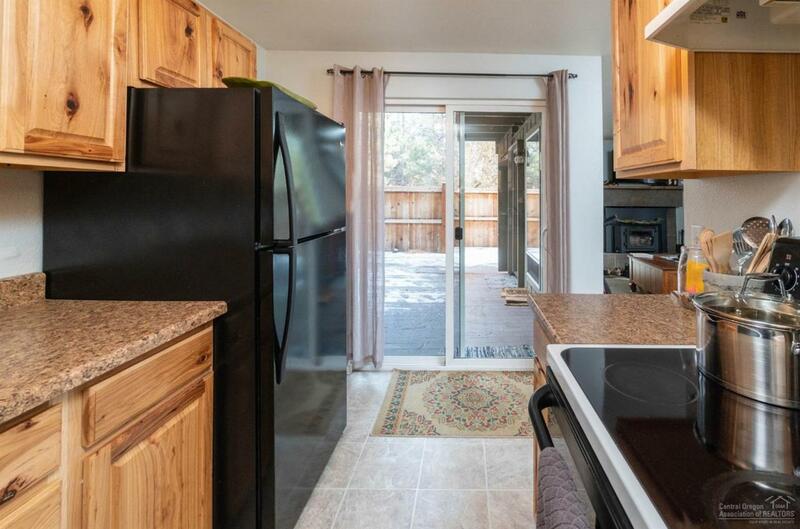 Living and kitchen open on to private patio. Laundry is generous and off the patio as well. 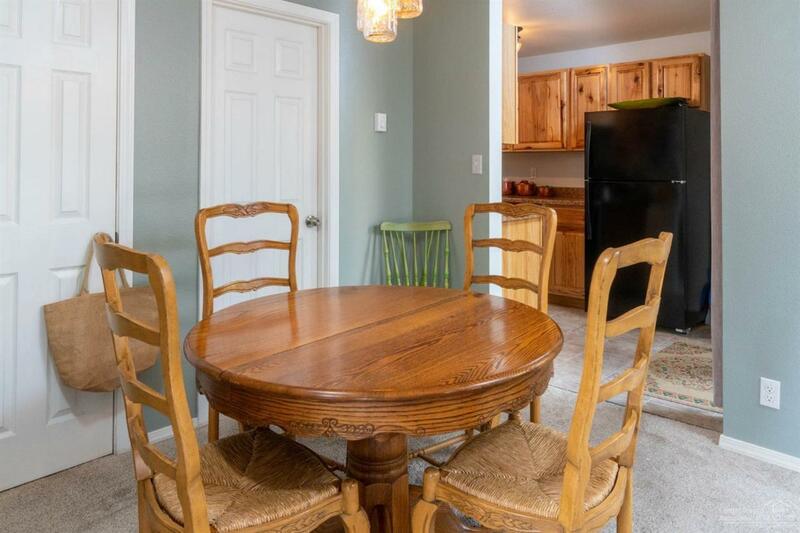 With a new roof in 2016, re-plumbed with anti-freeze pipes, new dual pane slider, newer wood stove insert, newer water heater, new cabinets in baths and kitchen, refinished deck, the home is in excellent condition and available for move in April 1.